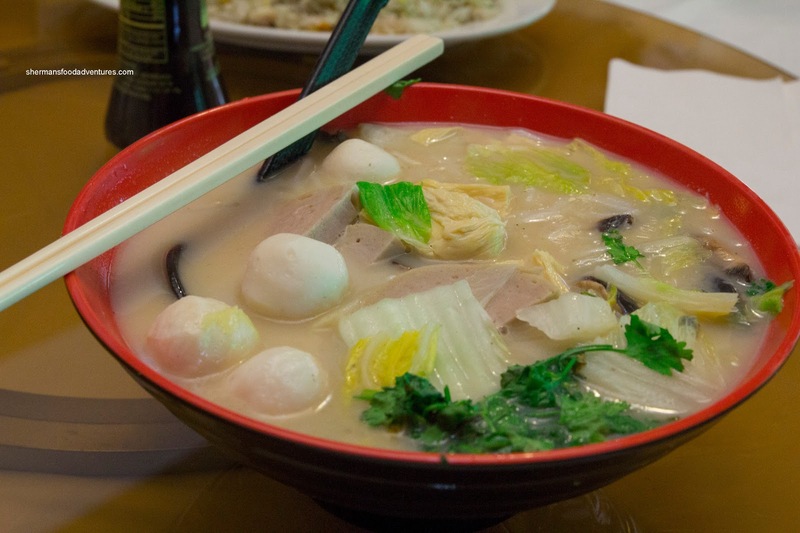 I have fond memories of Chinatown from my youth. Bustling with activity, it was the hub of shopping and exotic eats. I would remember heading to the Hong Kong Cafe for their prime rib and wonderful pound cake. The lineup at Ming's and eclectic menu at Mitzie's, a restaurant ahead of its time (being a quasi-HK-style cafe). Man, I haven't been back there in over 20 years. 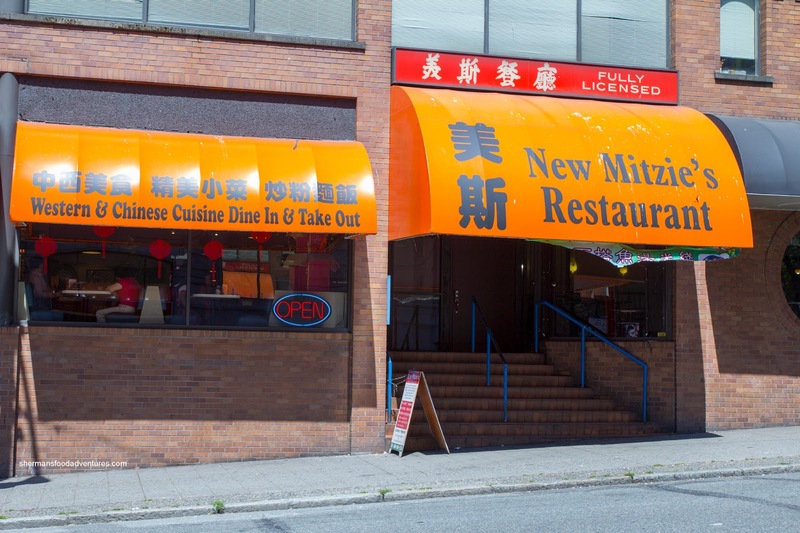 In fact, the last time I visited Mitzie's was in Elementary school. 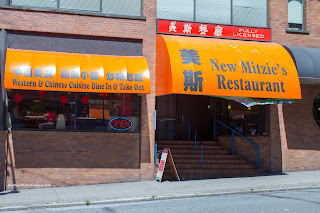 I can't even believe the place still exists, albeit with several ownership changes and now known as the "New Mitzie's". With nostalgia on my mind, I rounded up Milhouse, JuJu and Kaiser Soze for eats after Sunday hockey. 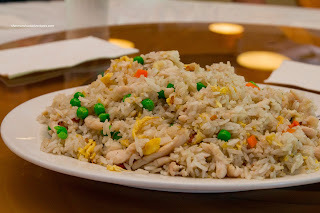 I ended up with 2 dishes starting with the Salted Fish & Chicken Fried Rice. There was a good amount of wok heat where I could taste the caramelization and a slight nuttiness. There was ample amount of tender shreds of chicken, but I found the salted fish lacking. Hence, the rice was not as salty as it should've been. Unless I got a nugget of fish in each spoonful, there was little flavour. 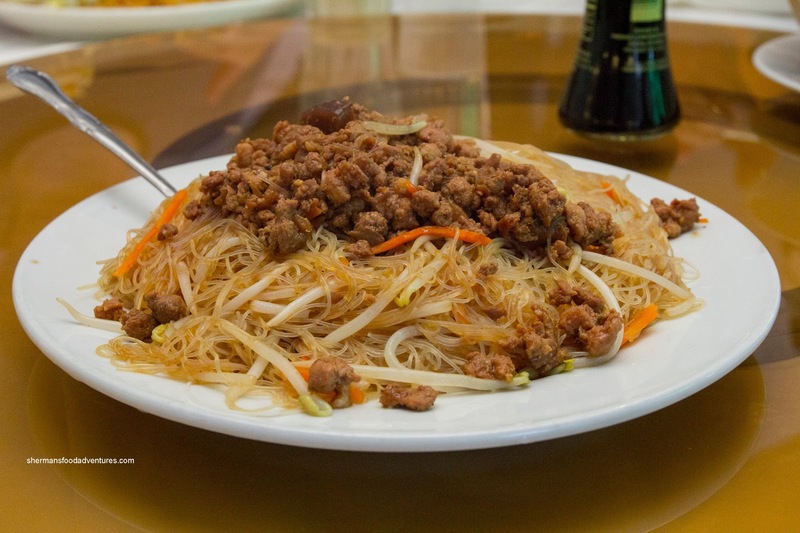 My second dish was the Vermicelli with Ground Pork. I found the texture of the noodles to be nearly perfect where it was chewy, stringy and soft at the same time. It was seasoned well where it had a balanced flavour. The crunchy bean sprouts added texture while the stir-fried ground beef and mushrooms on top added body. 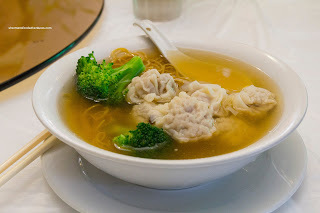 Not to be outdone, JuJu had 2 dishes as well beginning with the Wonton Noodle Soup. The soup base was not a traditional version by any stretch of the imagination. It was light and tasted like watered down soy. We weren't expecting authenticity either since Mitzie's is not a wonton noodle house. As for the noodles, they were too soft while the wontons were the all pork variety. For his second course, he had Combo B which included Fried Rice, Almond Chicken and Chop Suey. 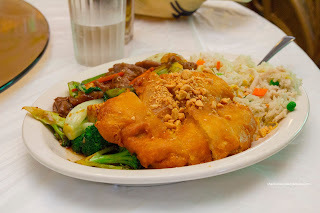 The plate of food was pretty mediocre with bland, yet crunchy broccoli and equally bland fried rice. The almond chicken was crunchy, but quite greasy. Milhouse decided on Combo A and it included Fried Rice, Sweet & Sour Pork and Chow Mein. 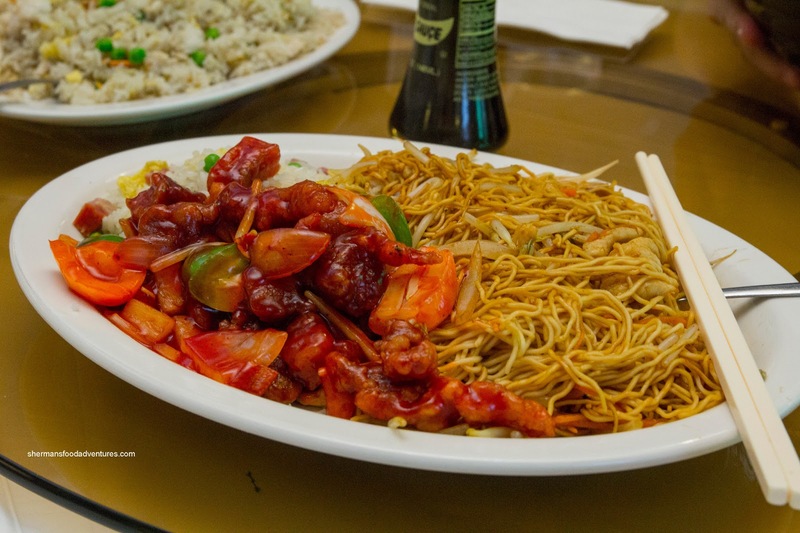 The rice was the same while the chow mein was dry and lacking in flavour as well. The sweet & sour pork was okay with meaty chunks which were crispy. The sauce was very vinegary which I liked, but Milhouse had a difficult time eating it. Kaiser Soze opted for the Fishball Noodle Soup and he thought the noodles were far too soft. Furthermore, the soup base was lacking in pop being too mild. Despite the average eats, it was nice to reminisce the ol' times in a place that looks pretty much the same from the inside. We were there just over a year ago. Forget what the circumstances were, but we ended up there. Why not Gold Stone or New Town, I'll never know. It was the same "ex-Bino's" interior I remember from the '80s but terribly run-down. The server fellow (owner ?) was nice and trying hard to please. But we were the only people in there (3pm Saturday). Food came fast. In short it was horrid. We put on a brave face and ate what we could. A walk down the corridor to the bathroom (and the bathroom itself) was quite the experience I won't forget. Clearly the place was in dire circumstances and they couldn't afford to improve things. Hopefully it's now the same owner and their fortunes have turned around for the better. Tough place and times to be, in Chinatown.